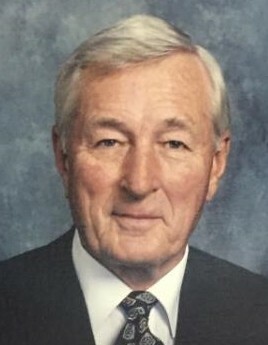 Warren J. Minchew Sr, age 92, of Douglas, Georgia passed away on Sunday January 27, 2019 at Coffee Regional Medical Center. Mr. Minchew was born on July 16, 1926 in Dorchester, Massachusetts. He was former owner/operator of Minchew Properties LTD and was a member of St. Andrews Anglican Church. In addition to his parents, he was preceded in death by his wife Martha Boatwright Minchew. Survivors include son, Jim Minchew of Douglas, GA; daughter, Debi Minchew of Savannah, GA; grandchildren, Jake Minchew, Stone Minchew and Maggie Minchew. Memorial services will be held on Friday February 1, 2019 at 2:00pm at St. Andrews Anglican Church with Father John Commins officiating. Interment will follow at Douglas City Cemetery. The family will receive friends Friday from 1pm until 2pm prior to the service at the church.